Last Friday night, Hubby and I went out to dinner with a couple whom I hadn't met yet in person although Hubby had. We sat in a cozy local Italian place chatting and eating delicious authentic Italian food. It was one of those meetings when I felt like I really hadn't met someone new. It helped that because of Hubby we had been Facebook friends prior to the dinner. But there was something else in the ease in which the conversation flowed. It was very nice. One of my newfound friends is the reason for this new collection I'm featuring. Like me, Merrilee is a nature lover through and through. 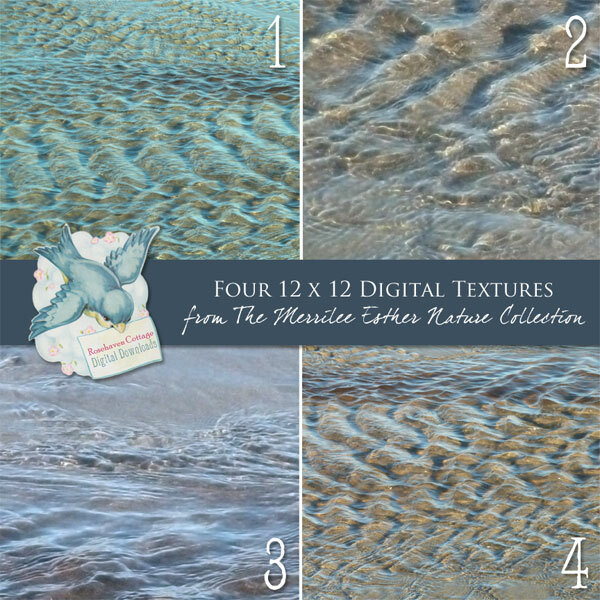 And she graciously asked if I would like to offer some of her nature photography as free digital downloads at the Rosehaven Cottage Digital Download Shop. Of course I said yes! 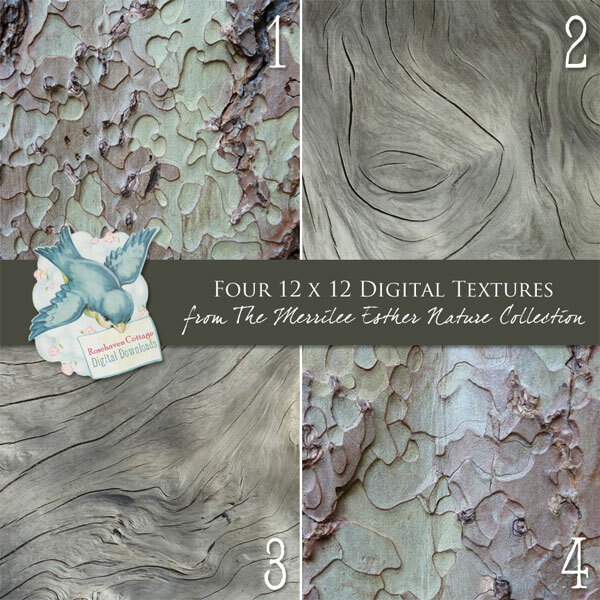 Named after her, The Merrilee Esther Nature Collection will hopefully grow over time. The first set Bark and Branches and the second set Water and Waves are now available to download for FREE to use as desktop images, scrapbooking backgrounds, Photoshop textures or anything else creative you can think up. You can pick and choose which ones you want to download out of each set. To receive announcements when future sets are released, "like" Rosehaven Cottage Inc. on Facebook or follow Rosehaven Cottage Inc. on Twitter. 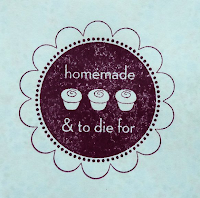 Oh... and by the way... Merrilee is also the proprietor of Life Is But A Dream - Cupcakes and More. Click below to see some of her delectable desserts. Those are absolutely beautiful. I am eager to download them all. Thanks to both of you for so generously sharing. How nice. I especially like the water series. Mmmmmm....now these are especially to my taste!